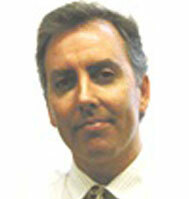 Stephen Ulph has joined INEGMA as Senior Researcher since December 1, 2004. Mr. Ulph is a political analyst, specializing in the Middle East and North Africa. Since graduating from Cambridge University, England, where he majored in Arabic language and literature, he has worked as a Middle East consultant in the media and legal sectors. He has also held a number of chief editorial posts at Jane¹s Information Group and since January 2000 has been editor and senior analyst of Jane¹s Islamic Affairs Analyst, a journal which specializes in the internal social and political structures of the Muslim majority countries. Stephen is also a Senior Fellow at the Jamestown Foundation, an independent think tank based in Washington DC, where he specializes in the study of Islamist movements. Stephen Ulph speaks and reads Arabic and is also fluent in French and Italian.